At least that is what the data seems to be indicating. I have had my number portability movement analyser app online now for just a few days and all movements points in this direction. After just three days, about 60% of entries on the poll points towards users moving to Etisalat when number portability officially kicks off in Nigeria. The poll is free and you can take part as well, you can also view the sample report once you submit the form online here. MTN is currently the greatest hit; about 40% of all movement is to Etisalat, and they are from MTN. What then does this tell us ? MTN currently has about 50 million subscribers according to NCC’s data while Etisalat still has less than 20 million users on their network. Will Etisalat be able to cope with the inflow from the three other networks? I guess only time will tell. All data points to a rush to move to Etisalat, am just hoping the guys at Etisalat are preparing for this new level of traffic. 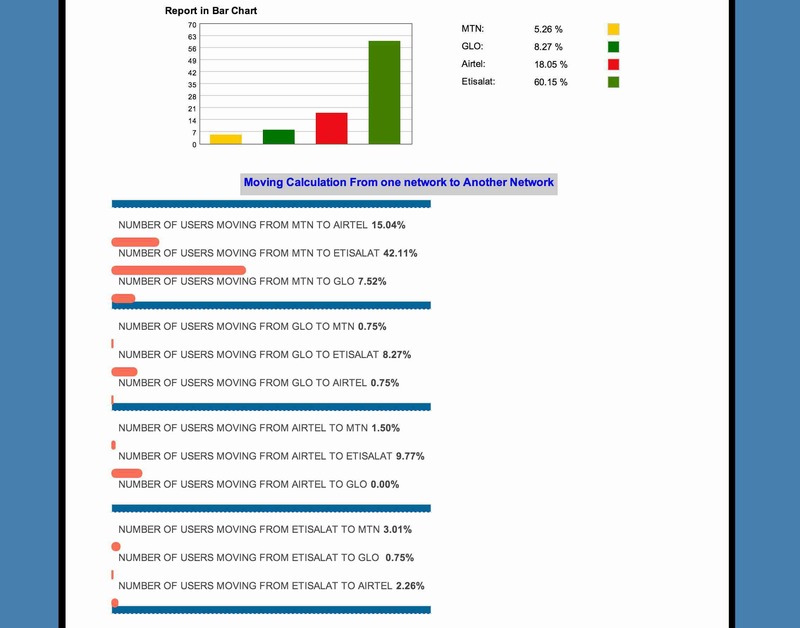 Interestingly too very little migration out of Etisalat is being noticed in the reports. Airtel surprisingly has also comfortably held the second spot for a while too. Just made the most popular switch this morning. Didn’t expect that I would but after some really bad experiences recently with MTN, I decided etisalat couldn’t be much worse. Also, my tablet is on etisalat and does quite well with cellular data when out of Wi-Fi coverage. So far, the calls have been clearer with only one dropped call. My mileage is similar to yours. Experience has been good overall with the exception of the SMS thing. For me, it affects mostly machine-originated messages (bank alerts, UC server texts, app verification codes etc). Yeah. MTN does have the best coverage. @etisalt_9ja needs to wake up to this coverage issue that is always raised.